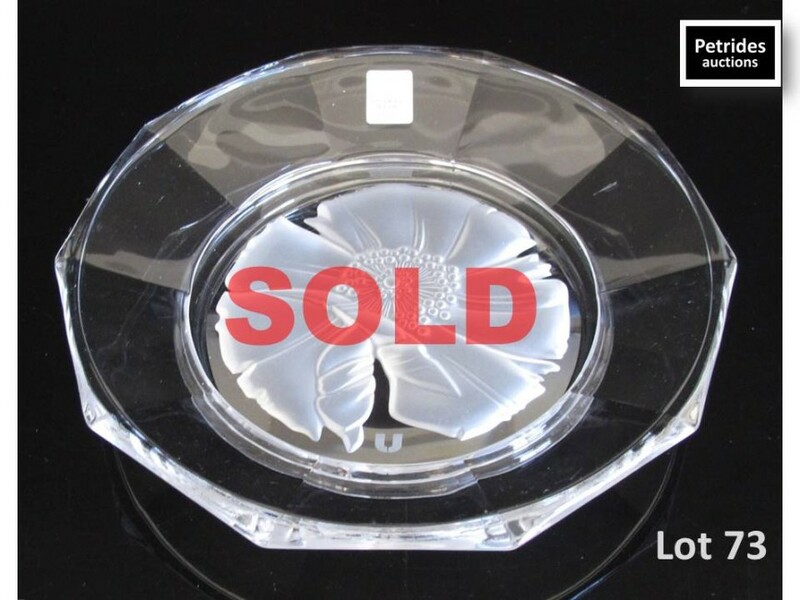 A Japanese Sasaki crystal shallow bowl, etched in the middle with a flower. Signed Emanuel Ungaro. H3cm, W20cm. 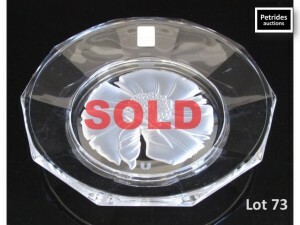 Sold for €77 incl. premium.